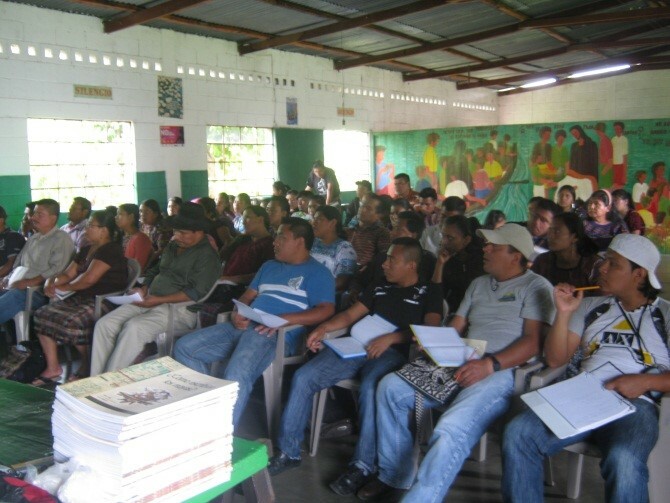 Brief overview of the activities at the workshop held in Cubulco, Baja Verapaz, Guatemala, July 14, 2013 [thanks, in part, to a grant from the donors at MAM]. Topics: The calendars from the codices and how to write in glyphs. 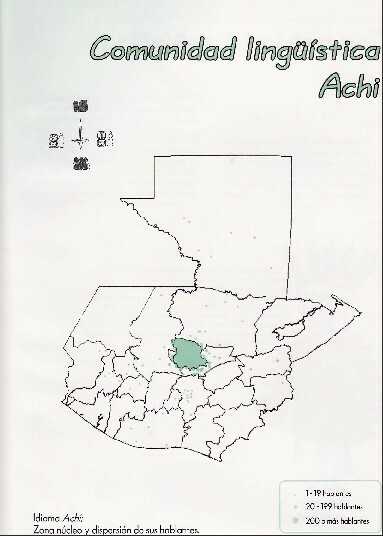 Organizer: Andrés Cholotío García and the Achi Linguistic Community. Instructors: Clemente Maximiliano Peneleu and Hector Xol. General Objective: Learning the knowledge of our grandmothers and grandfathers by means of deciphering the codices and the writings of the various texts that have been found. Specific Objective: Develop the knowledge of the calendar found in the codices and apply it to everyday life. Apply the knowledge of epigraphy in today’s writing and discover the legacy of cosmic knowledge in it. Prior to the event, the workshop was coordinated with the Achi Linguistic Community in order to invite the participants and arrange for the space where the workshop would be held. At the beginning there was a brief invocation for the energy of the day, which was One Kan, so that all the activities that had been developed would come out as planned. 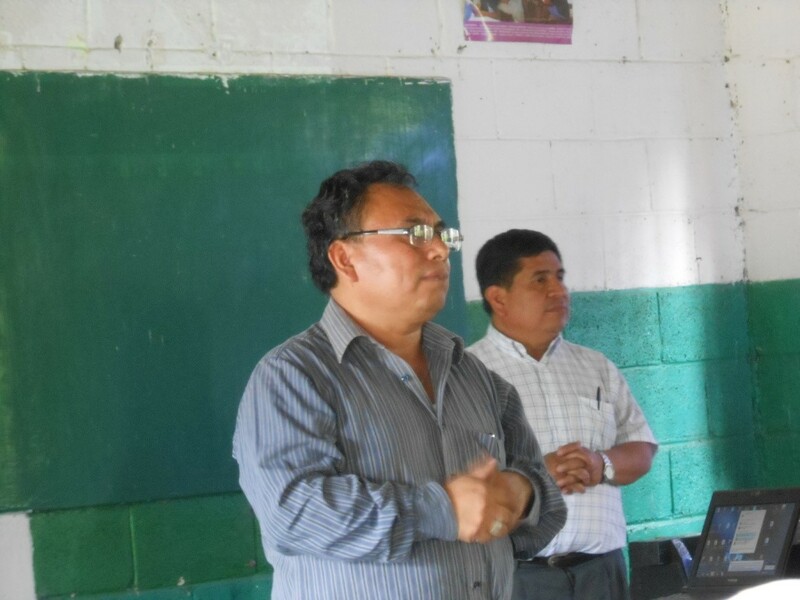 Andrés Cholotío (front) made the introductions: for Teletor Velásquez (behind), President of the Achi Linguistic Community, and for Bruce Love who accompanied the group to Cubulco, Baja Verapaz. Love spoke a few words to the participants in which he said he was very happy to be sharing this time with the Achis. 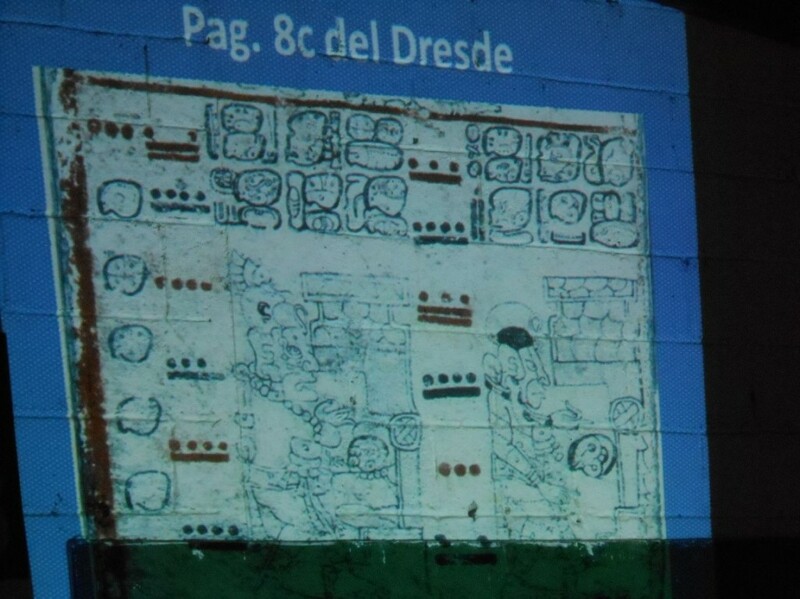 To begin, Clemente Peneleu began with his topic, the calendars in the codices. 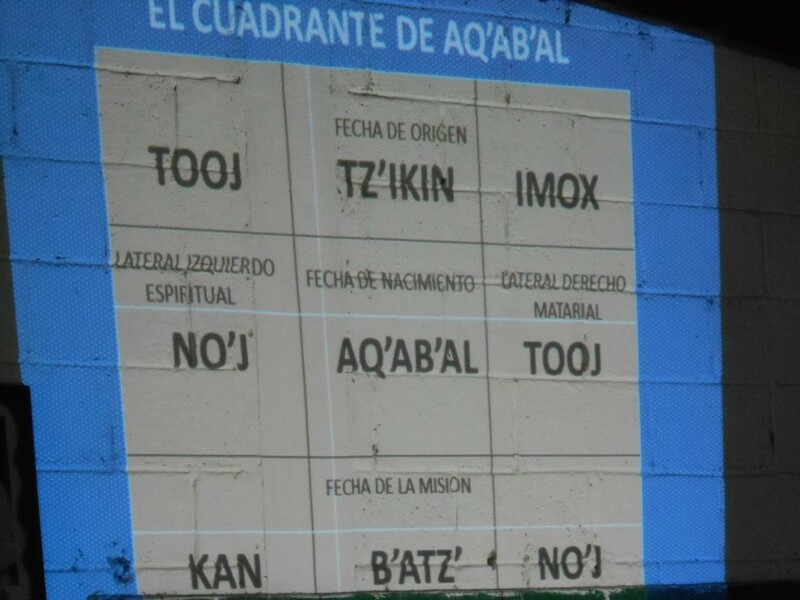 In this presentation he introduced how the calendars in the codices are interpreted, taking days from the past and comparing them with today’s days. From right to left: Denis Estuarlin Teletor Ajualip, Irene Eugenio Mejía Taperia, Mateo Ajualip Rodríguez and behind, Bruce Love paying close attention to what was being explained. In the research that Clemente Peneleu had done, he found that all the twenty days of the ritual calendar are bearers (cargadores). They each have their own energies. Therefore each one of us needs to keep on studying to arrive at an understanding of what the codices are saying. From right to left: Denis Estuarlin Teletor Ajualip, Irene Eugenio Mejía Taperia, Mateo Ajualip Rodríguez, Maximiliano Corazón Xitumul, Abelino Román Lajuj, Marina Elcira Raymundo Ramírez, Lucas Isabel Mejía Taperia. It is interesting the teachings of the codices in which are found the ritual calendar, the readings of the days, how we can find the maya “cuadrant” [a concept perhaps yet unknown to Western epigraphers], etc. Clemente continues teaching during a break. This presentation was conducted by Hector Xol, beginning with some history of Maya writing and its decipherment. In the Preclassic Period is when the first writings appeared, around B.C. 500. Then in the Classic Period is the time of the major development of the hieroglyphic writing, in the great cities like Tikal, Calakmul, Palenque, Copan and others. 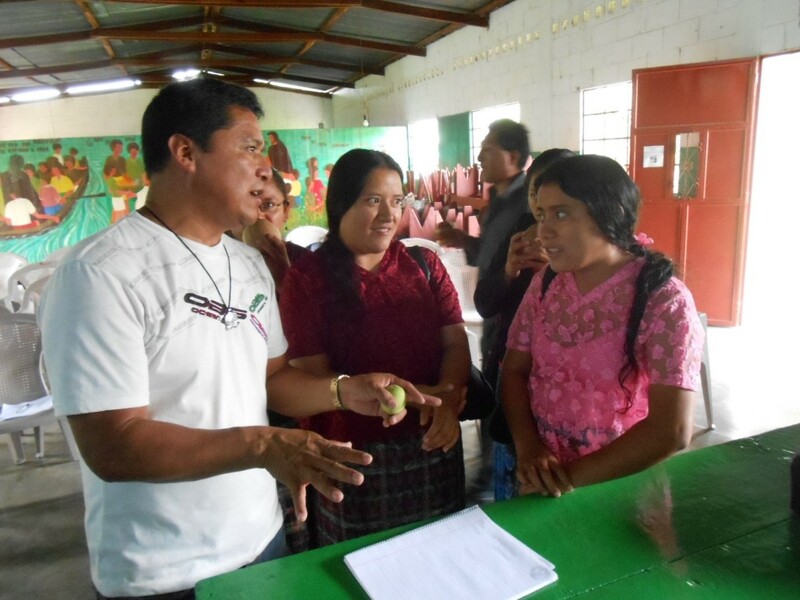 Workbooks and handouts were distributed, which Hector had made, so the participants would have the necessary tools to understand the ancient writing. Included in this material was the syllabary, which is very important for the hieroglyphic writing, so that the participants could understand the application of the syllabary. It was explained how to write a word, what is the proper order of the signs. Hector showed how certain words could be written in order to put into practice what he had been teaching. From right to left: Maribel Teletor Camajá, Sonia Elisama Calo Ortíz, Diego Baltazar; segunda fila atrás: Manuela Esmeralda Raymundo Pablo, Trinidad Santiago Rodríguez, Silvestre Jimenez and Sebastián Taperia Reyes. 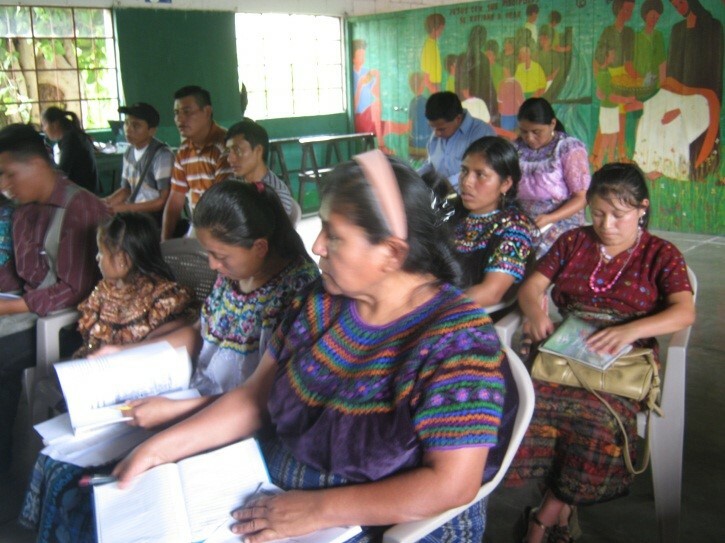 He said that the language closest to the ancient writing, and which is spoken today in Guatemala, is Ch’orti’. Logogram: when a sign represents a whole word, like the days of the ritual or agricultural calendars, and other words like b’alam and witz. Syllable: the parts with which the words are pronounced. Joining the syllables forms words. Also, syllables can be combined with logograms to reinforce the logogram. Each of the workshop teachers focused on understanding the use of the syllabary and the order in which they are used to write. 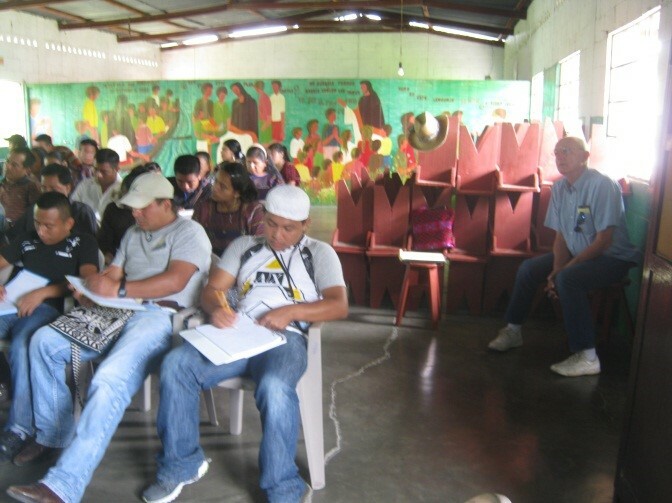 As part of their exercises, the participants learned how their names should be written, or the names of the towns they were from. 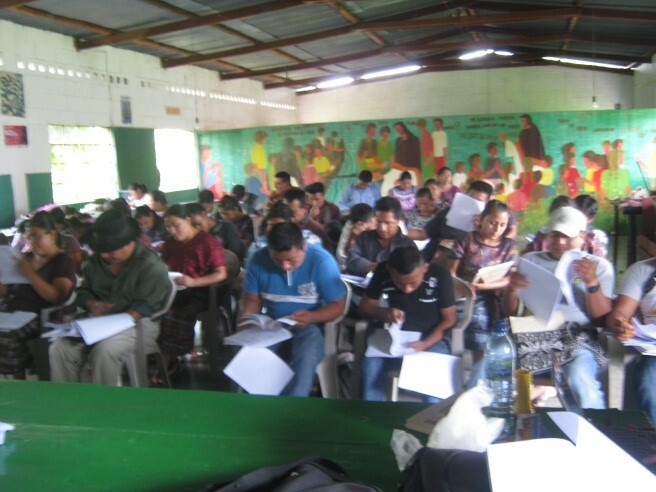 This photo shows the participants reviewing their materials to see how to write words in glyphs. The original invitations were for 35 people but in the end 55 showed up, having such a great interest in learning and knowing about the history of the ancient writing of our civilization. 1. The invitations that were made were very well received on the part of the community, based on the participation we had. 2. Coordination with the authorities of the linguistic community was very good, based on the results obtained. 3. 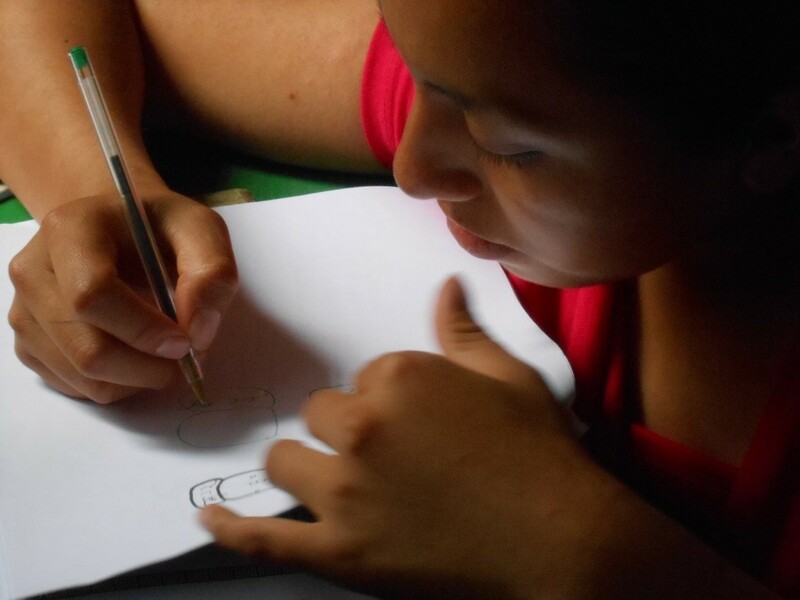 There is great interest in the community over the learning of Maya hieroglyphic writing. 4. The teachers showed excellent control over their subjects of hieroglyphic writing and the Maya calendars. 5. 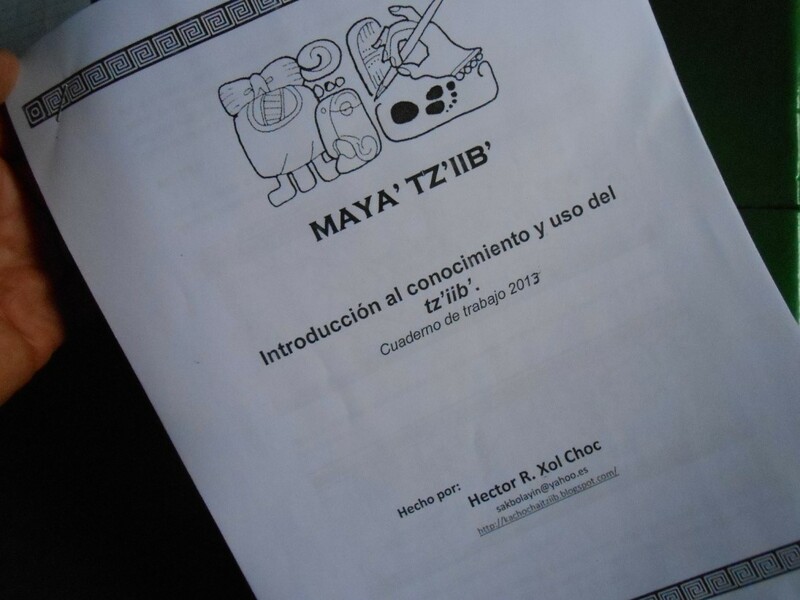 There should be continuing workshops on Maya epigraphy. How can I obtain copies of the materials and an outline of the workshop?